I meet so many businesses that spend a fortune building beautiful websites, working with designers to make sure it looks a million dollars, when I ask why, “It’s our Brand, it’s where we drive traffic” etc etc. These websites are like a very beautiful date, so full of promise, but lacking any real bite! I remember going on a date once with a very beautiful man, he turned heads, but boy was he lacking in any real substance, he loved to talk about himself and didn’t seem to have any interest in me or the wider world. A second date never ever took place, even though he tried again and again, I just made excuses until he stopped. He was a lovely guy, well meaning I am sure, but I just required a lot more from a date. And so many websites are just the same, all they do is talk about themselves, you go out once but nothing other than their good looks would make you consider doing it again, they are free from any real personality, and dont add any real value. Sometimes you happen to be on social with them, or even on an email list, but you ignore everything you see, they just bore you to death. 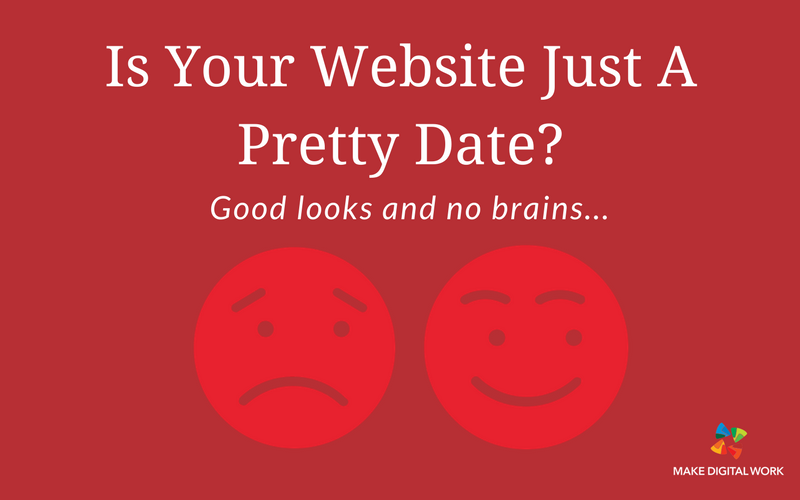 Websites that are static, not thinking about the customer, their problems and how they can add real value before asking them out on a second date…. Does your website have a system to take potential customers through a process of education and engagement so it nurtures them, makes them feel important before it expects to turn them into paying clients. The start of their journey (Don’t Know they have a problem) so they need to be made aware of the problem and the possible impact that the problem will have on their business or life, with some top tips to fix each problem (solutions you provide). This could be a free download, a quiz or a video, depending on complexity. The Middle, (they know they have the problem, but don’t know you) the ideal time to educate them about the solutions and be seen as an authority. This is a perfect time to run a Free Evergreen Webinar that talks them through a solution or even better a case study where you solved the problem (not a sales pitch!). The Bottom, they know about you and they know that you can solve the problem, but don’t know if you are perfect for them. This is where facts, numbers, case studies and testimonials are key to creating trust in your brand so they make a call or purchase. 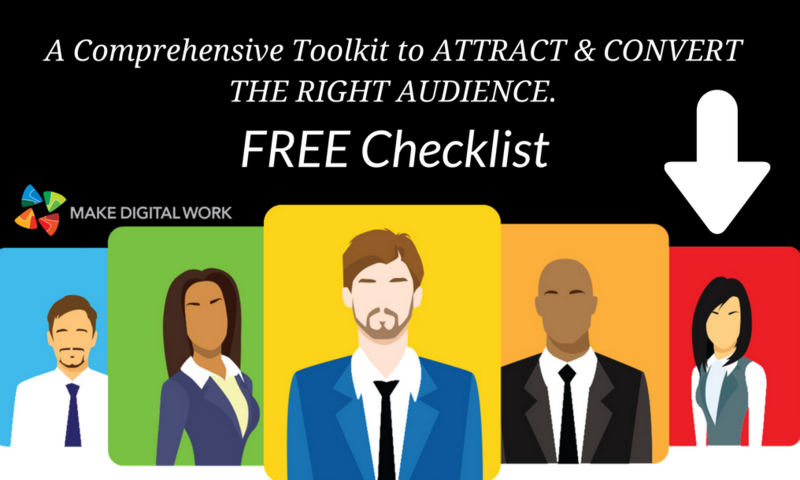 So at the start you may need a simple opt in to get a free report, then a series of three emails that offer further help and suggest they sign up for the Free Webinar, at the same time running social ads to the people that spend 10+ seconds on the page, with a link to the webinar. Watch this video ​ ​WHAT IS A FUNNEL to find out more. Once they sign up for the Evergreen Webinar where they can select a time and date that suits them, you can email them with a offer for a Free Demo, a call, invite to a workshop or a special limited time offer. Backed with the case study and testimonials, and running ads with customer testimonials to the people that watch all and most of the webinar. Anyone that doesn’t take the offer should be nurtured -its just not right for them right now, that means nurtured with great blog posts, video and downloads that continue to add real value and build trust and finally cross sell other services or products. Add some brains and personality to your website, so it’s a real tool in your business, it can produce leads and show some REAL ROI ….. you can do all this with various tools but our tool of choice is ClickFunnels. To start with a simple opt in to capture the top of the funnel leads have a look at our amazing offer or contact us on team@makedigitalwork.com with any questions.